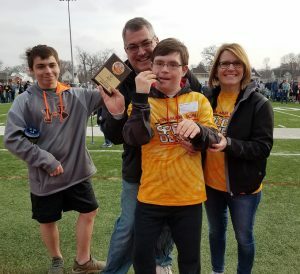 Congratulations to our Special Olympians who recently competed in the track and field competition at Coe College! 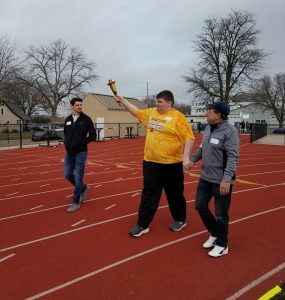 During the opening ceremonies, Quintin Hatfield received the Friendship Award and Alex Brinkmann had the honor of carrying the Olympic torch during the Olympic torch relay. 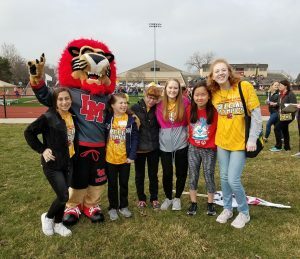 Both athletes are seniors at Linn-Mar High School and among our 26 athletes who participated in a variety of events including a softball throw, turbo javelin throw, tennis ball throw, 25m wheelchair race, 50m dash, 100m dash, 400m walk. We congratulate all our Special Olympians for a job we ll done!